It was an emotional weekend for Star Wars fans as they received a constant trickle of news regarding The Last Jedi, Star Wars Battlefront II, and plenty more from SWCO. However, it wasn’t just ordinary fans that found themselves caught up in the emotion, as Janina Gavankar proved during a panel. 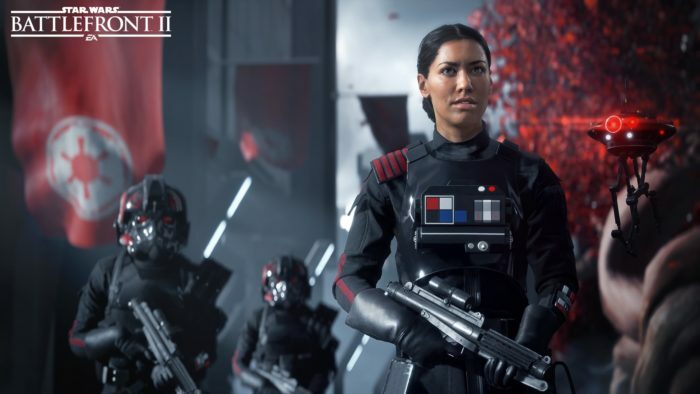 For those unaware, the weekend also brought about the news that Janina Gavankar would be playing Iden Versio, the Inferno Squad Commander and protagonist in Star Wars Battlefront II. Another announcement revealed that Versio would have her backstory explored in a novel titled Battlefront II: Inferno Squad, written by Christie Golden. And it was at the moment that Golden revealed the cover art for the novel that Gavankar just couldn’t hold in her excitement and happiness any longer. TFW @ChristieGolden reveals her cover art for her book on your @StarWars character's backstory. Clearly, the role means a lot to Gavankar and we personally cannot wait to dive into Inferno Squad and Battlefront II to learn more about the character. 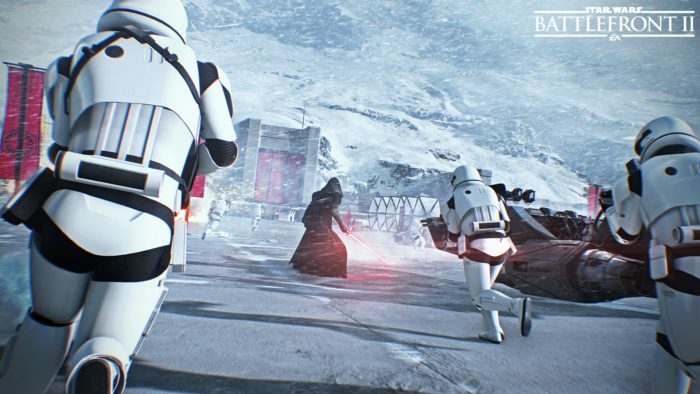 Battlefront II: Inferno Squad will explore the backstory of the unit and its commander, Iden Versio. The novel takes place in the aftermath of Rogue One and A New Hope, and will see the unit tasked with infiltrating the remains of Saw Gerrera’s Partisans cell that escaped from Jedha in Rogue One. Are you as excited by all of the Battlefront II news as Gavankar was? Let us know down in the comments below.